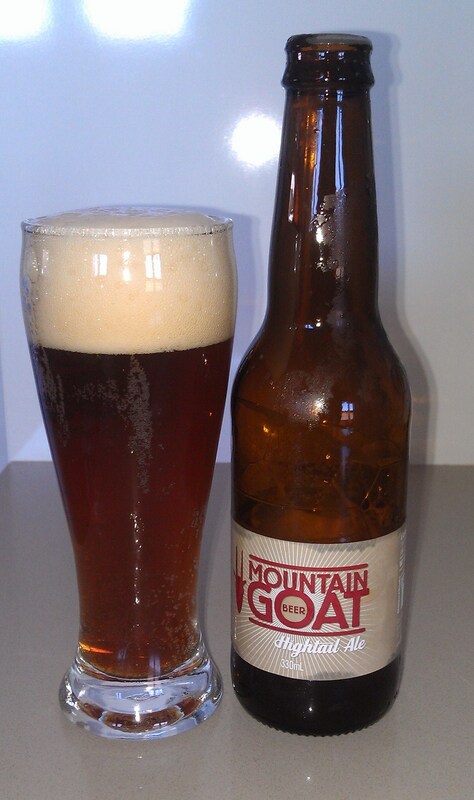 This week’s Sesh brought to you by Mountain Goat Hightail Ale. These guys have got a pretty cool story about how they established their brewery. It’s a real backyard home-brewer to microbrewer tale. I’m not sure what I was expecting with this one – I bought it because of the name more than anything. Certainly not because it was brewed in Victoria – I’m glad I didn’t realise until after the purchase. I don’t think I would have bought it otherwise. As you can see from the first photo, it was a little bit excited to be opened. 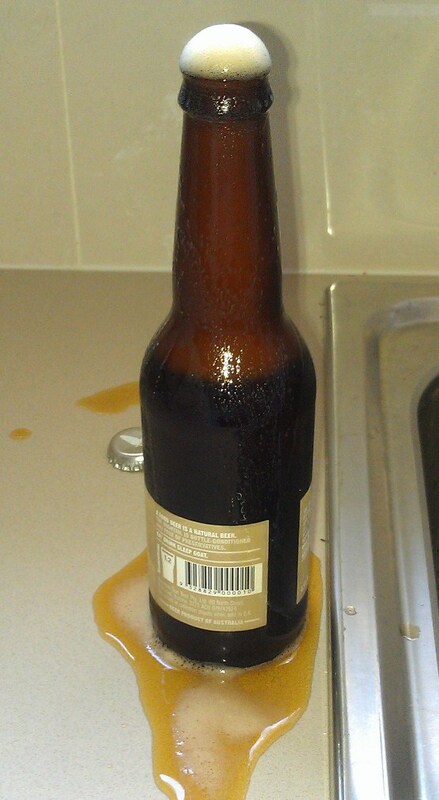 It was a bit better behaved when I poured it though. It’s a bit of a surprise packet this one. It’s a bit rich and heavy for a summer beer, but I would definitely enjoy this one on a cooler day. It’s very robust, and the flavour sticks around giving a strong after taste. It has the burnt toast taste of the Old Fart I reviewed previously, but it also has a sweetness that offsets it that makes it easier to drink. Apart from the froth on the pour, there’s not a lot of gas or bubbles, so it’s quite smooth to drink. A good session beer in Autumn or Winter I think. All-in-all, it’s not a bad drop for something made in Victoria. Recommended if you like something rich and malty.